Happy Tuesday!! Thank you all SO much for your sweet words and support for my first ever Holiday Collection launch yesterday! 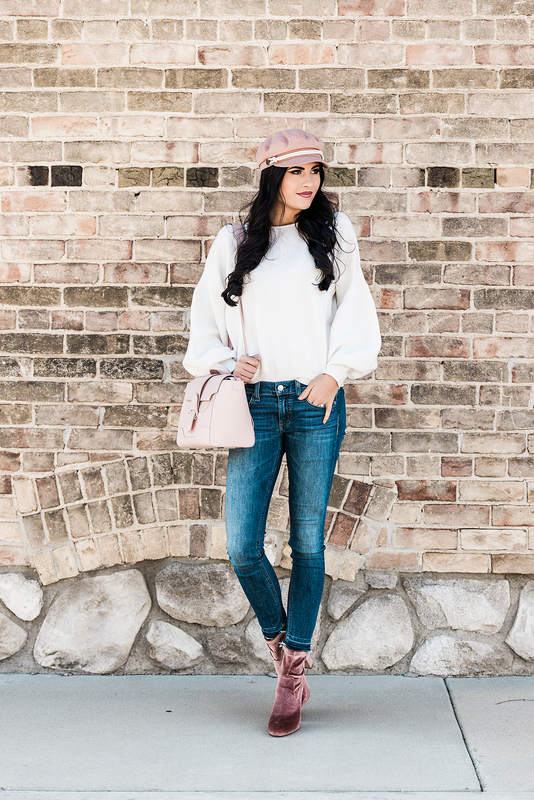 I can’t wait for you to get your pieces and show us how you’re wearing them this season! 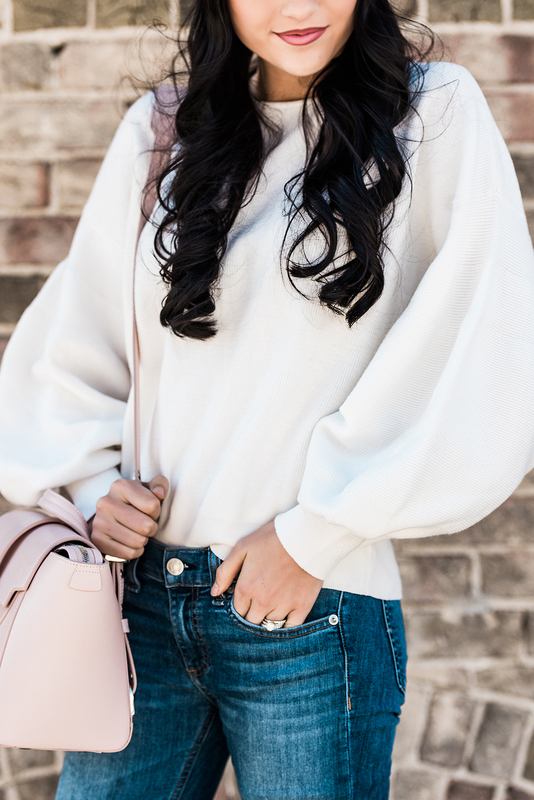 This is one of my favorite looks I wore last week, featuring one of my favorites from the RP Everyday Shop, the Ivory Bubble Sleeve Sweater!! 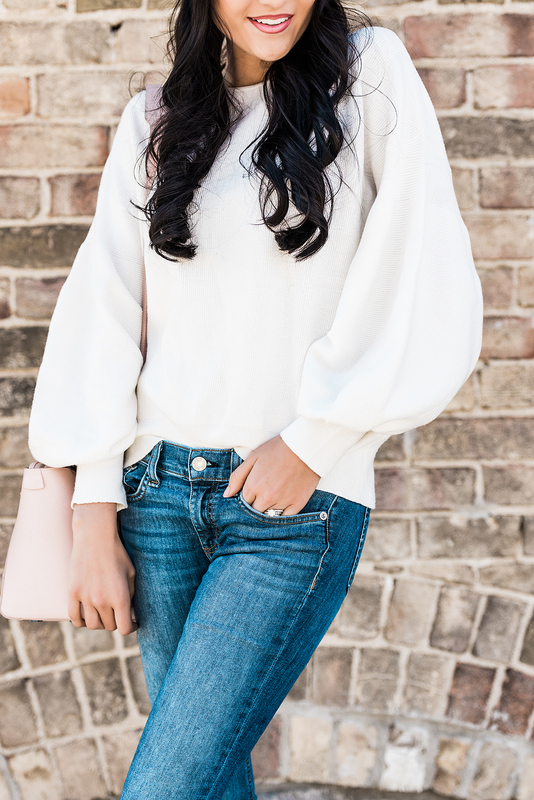 I love the crew neckline and long puffy sleeves making it super cozy and chic, easily dressed up or down. And don’t forget tomorrow I’ll be doing my weekly Inspiration Wednesday post along with a Q&A so write any questions you have for me in the comments below! Thanks for stopping by, have a great Tuesday! Beautiful!! Love those jeans and that sweater!! Really thinking i need to order the sweater. Just one question; why do not offer size xs? Is your s a 2-4 fit or a 0-4 fIt? Thanks! Oh my goshie – those boots are fantastic! This is so darling! Happy Tuesday! 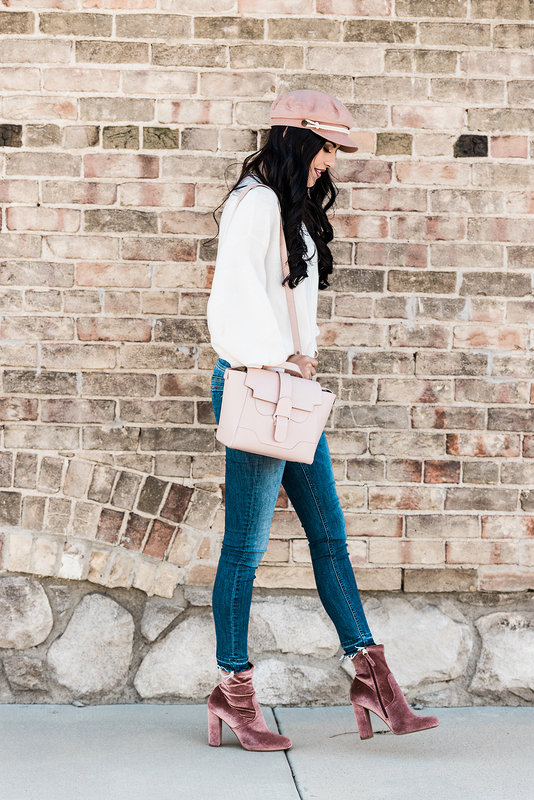 Love ❤️ the pink touch … the velvet boots are sooo cute! Love ❤️ love ❤️! your new ring is beautiful! 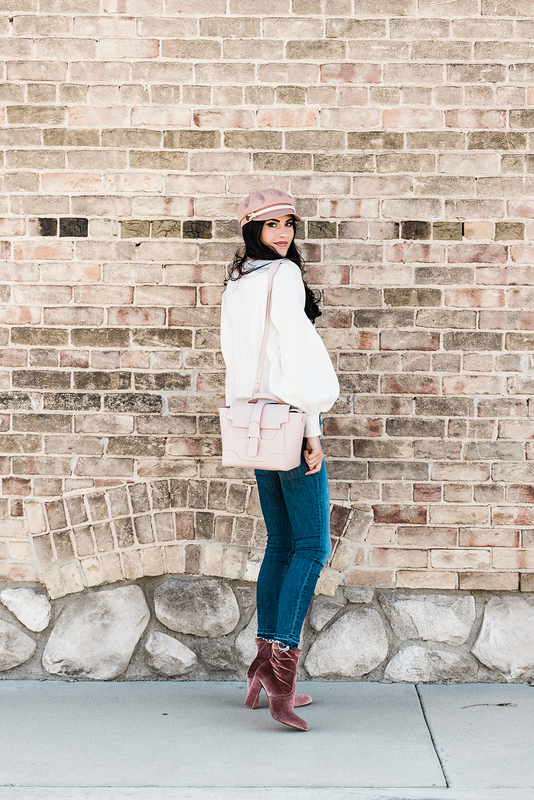 Love that hat and those boots! You have a big family on both sides do you all exchange holiday gifts or just keep it about the kids at this point? I love this sweater and cannot wait to wear it! The material is so nice! Your jeans look amazing, btw! Those boots are amazing! I’m obsessed! Such a cute outfit and I’m so in love with the velvet boots! i need those booties in my life! !